3D printing is a process of making a physical object from a three-dimensional digital model, usually by laying down many successive thin layers of a host of different types of material. It is also known as additive manufacturing (AM) and it empower designers and manufacturers print object of any shape and geometric dimension. In simple words, it is one of the fastest modes of developing physical prototypes accurately and true to scale. How much time does it take to 3D print any object? The time taken to print any object depends upon the size of the object and settings set for an object. 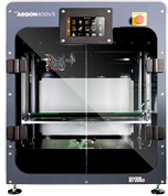 A small object with less dimensions and infills can be printed in less than an hour. Objects with higher dimensions will take several hours to print. Where 3D printing is being used? 3D is touted to be the third industrial revolution and has been around for two decades. The popularity and accessibility of this revolutionary technology is increasing at fast and steady pace. 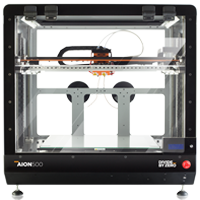 As of one India’s leading 3D printer manufacturers in India, Divide By Zero has empowered clients various verticals such as. 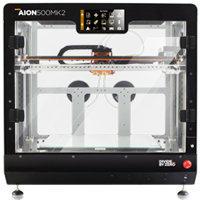 How can I get models for 3D printing with Accucraft and Aion series of 3D Printers? What is infill in 3D printing? In 3D printing, infill refers to the structure printed inside the object. The size, shape, pattern, and percentage depends heavily on the design requirements. Higher infill percentage translates to physically stronger 3D printed samples. Can different infills be chosen for my objects? Yes, you can opt for different infills for your object. This can be manipulated through different levels in the software. Lower infill percentage can help you to save filament and print time. Can I print objects bigger than build volume?